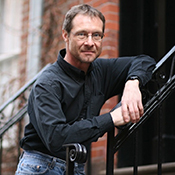 Steven Pounders is a Professor of Acting in the Department of Theatre Arts. He teaches a variety of performance courses, including Acting: Shakespeare, Acting: Advanced Realism, and Fundamentals of Voice and Movement. Additionally, he directs plays for the Baylor Theatre, is a member of the graduate faculty, and mentors graduate student directors. Professor Pounders joined the Baylor faculty in 2002. In 2008, he organized the Fine Arts Living Learning Center in the North Village Residence Halls for students of Theatre Arts, Film & Digital Media, Art, and Music; and served as the faculty-in-residence for the first seven years of the Fine Arts LLC. In 2015, he received the Baylor Outstanding Faculty Partner Award for his service to students. In coordination with a Summer Sabbatical studying Meisner Technique with master teacher Larry Silverberg, he received the Baylor Centennial Professor Award in 2016. Currently, Professor Pounders is serving in his fifth year as a Baylor Faculty Senator. Professor Pounders is a professional actor and director with membership in Actors Equity Association for over 30 years. His professional performances have included the Off Broadway Premiere of Craig Wright's The Unseen at the Cherry Lane Theatre in NYC (produced by the American Actors Company) and a number of productions at Theatre Row in downtown NYC as a company member of the Resonance Ensemble. He has also worked in numerous regional productions with other theatres including Casa Manana, Circle Theatre, and Stage West in Fort Worth, Horton by the Stream in upstate NY, the Oklahoma Shakespeare Festival, Theatre Britain, Theatre Three, and the WaterTower Theatre in Dallas. He received his MFA from the actor training program at UNC-Chapel Hill, and there he performed as a member of PlayMakers Repertory Company in the premiere of David Hammond's original Nutcracker, Romeo and Juliet with Kyle MacLaughlin, and other plays. In addition to numerous university productions, his professional directing credits most recently include having directed regularly in the season of the Circle Theatre in Fort Worth for the past six years.